Your family’s safety is your number one priority. That’s why the professional staff at Midway Garage Doors promises that our doors are safe and strong. You can be sure that GARAGA garage doors will always keep intruders out, which means your family will be safe and secure. 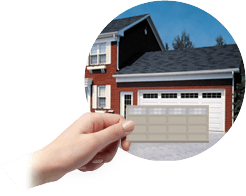 A piece of your garage door system need repair? Give us a call and we’ll send out one of our garage door technicians to fix it. Our professionals will either repair or replace any parts they need to and you can be sure that your satisfaction will be guaranteed in Niles, OH. The installation specialists, repairmen, and technicians at Midway Garage Doors are always friendly, knowledgeable, and professional. Each and every one of the installations we perform is precise and nothing is left undone. 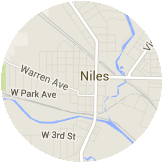 Contact us for all your garage door service in Niles. The garage doors carrying the Garaga name, and carried by Midway Garage Doors will enhance the curb appeal of your home. After all, in most cases, your garage door will comprise about 30 percent of the outside of your home. Therefore, we want to be sure that the style you choose blends well with your own tastes as well as the style within your neighborhood, you don’t want to be seen as an eyesore! 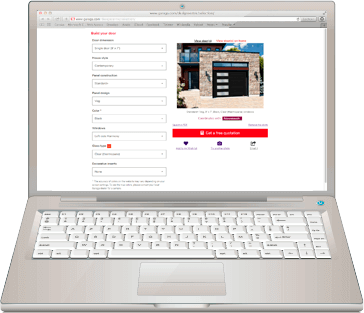 Visit our Design Centre to begin creating your dream garage door today! With all the products available today, even garage doors can become overwhelming if you don’t work with a qualified professional. The team here at Midway Garage Doors are here for you, to guide you through all the options before you make your decision. Garaga doors come highly recommended here because they are durable, reliable, and they have a reputation that precedes them. Our staff of qualified installation experts and technicians will be sure that you have the best insulation and will show you all of the beautiful and practical accessories you can add. There is no job that is too big for us and we’ll be sure that all your needs are always met each and every time. LiftMasterTM, best garage door opener system ever! The customer always comes first here at Midway Garage Doors. We do absolutely everything we can to offer the best possible customer garage door service in Niles, as well as the best products. LiftMaster garage door opener systems are no exception. These will work well with any taste, budget, and need. 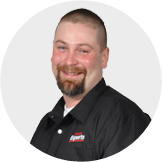 LiftMaster is the best brand in the market. Everyone who is in the business of garage doors knows this well and therefore, strongly recommends it. These are known for their durability, efficiency, and safety. Also, with the advanced technology available at our fingertips, you will be able to control your garage door with your tablet, computer, or smartphone, no matter where you are in the world. Keep in mind, that no matter how good the quality of your garage door, you will need some maintenance at some point to ensure that your door is still operating smoothly and properly. You can be sure that the professionals at Midway Garage Doors have many years of experience and have installed hundreds of garage doors. Therefore, they know everything about them more so than anyone else in the industry. If you expect to receive the best possible garage door service in Niles, professionalism, and the best standards of work, the team here are the best ones to advise you.